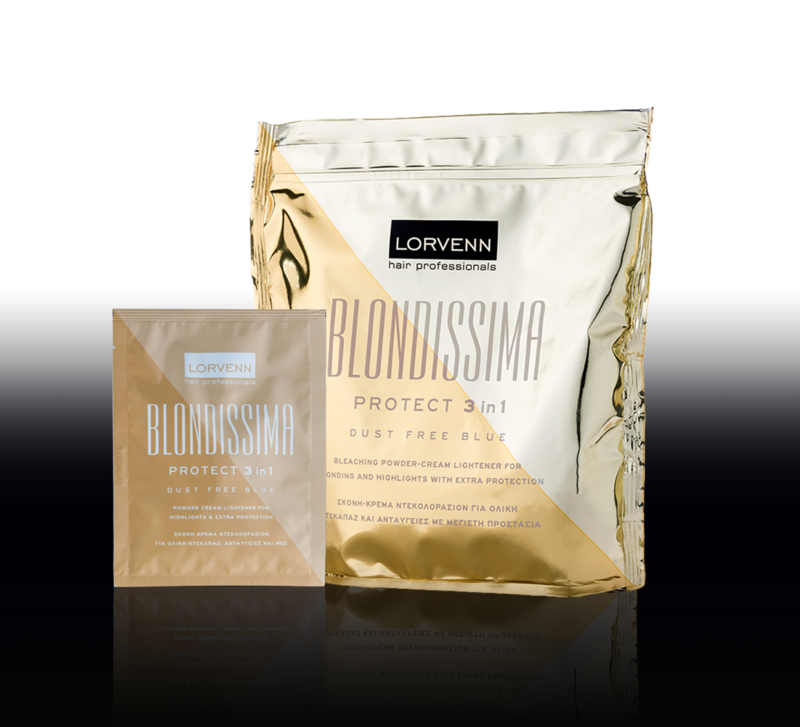 Blondissima protect 3in1 dust free blue. Bleach powder suitable for all bleaching techniques. Contains active complex PSC (Polyamino Sugar Condensate). 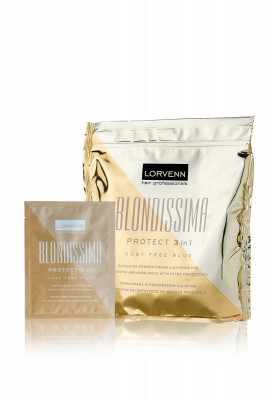 A condensate of 13 amino acids and oligosaccharides to protect hair from damage caused by bleaching. Controlled, efficient bleaching. Maximum bleaching up to 7 tones. 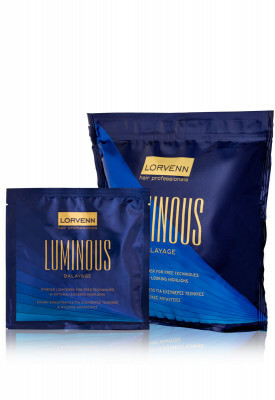 Easily mixed with EMULSION OXYCREME to create a smooth, stable, creamy mixture. Has a pleasant smell. Easily applied, no leaking during use.